Remember the times when the words ‘video surveillance system’ brought to mind the scenes of long hours of cable trenching, exhausting mounting of cameras only entrusted to professionals, and room-sized computing machines to fit? Well, it’s time to forget it. Originally created with the intention of promoting STEAM (science, technology, engineering, art and mathematics) education in schools, microcomputer is first of all an economical alternative to sophisticated servers. A small board with everything that you might need in a computer, microcomputer usually has a Linux Arm board as its core. Let’s take a closer look at some of them. 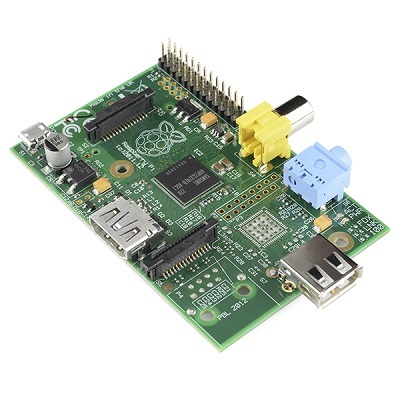 Raspberry Pi, first released in 2012, is the most popular board in the lowest price segment with the target price of $25-35. The CPU capacity in Raspberry Pi of initial models is compared to that of iPhone 3G/3Gs. 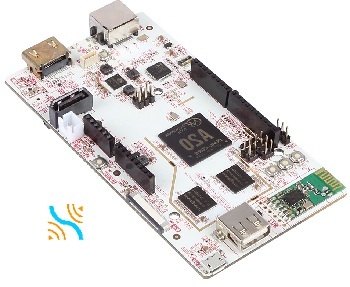 Depending on the model, the board offers up to 1 GB RAM, slot for MicroSDHC/SD cards, USB/micro USB port, and video controller supporting HD and FullHD resolutions. Raspberry Zero has the record weight of 9 g.
As for OS, it is usually recommended to install Raspbian to Raspberry Pi board of the 1st version. For other versions, openSUSE, CentOS, and other OS compatible with Linux ARM can be used. Success of Raspberry Pi was so influential that it produced various clones of the subject. 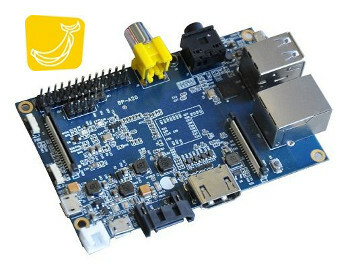 Banana Pi, released in mid 2014, has dual-core (M1 model)/quad-core(M2 model) 1Ghz processor or octa-core 2Ghz processor(M3 model), 1GB SDRAM, Gigabit Ethernet port, SATA Socket to allow connection of a hard disk for additional storage, and support for WiFi. The Banana Pi microcomputer can run Linux ARM compatible operating systems including Android OS. Orange Pi is yet another open-source single-board computer, one of the recent obvious clones of Raspberry Pi microcomputer. It can run Android 4.4 , Ubuntu, Debian, etc. This microcomputer has 1GB DDR3 SDRAM, up to 1000 MB Ethernet, support for TF cards (max. 64 GB), MMC cards, 2.5 SATA disks, onboard WiFi, video capture solution up to 1080p@30fps, HDMI and 5 USB 2.0 ports. ODROID-W is a miniature computing module which manufacturers claim to be fully compatible with all software available for the Raspberry Pi board. 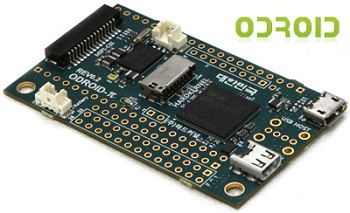 First released in mid 2014 and designed for wearable devices (watches, necklaces), the ODROID-W microcomputer is slightly smaller the size of a credit card. In an attempt to create the smallest wearable accessory possible, faster and with lower power consumption than Raspberry Pi board, the HDMI port and SD slot were changed to micro- sized connectors, and the MIPI DSI port was removed due to limited PCB space. Quad-Core 2Ghz Cortex-A53 processor, 2Gb RAM, 1 Gbit/s Ethernet, expandable storage and Mali-450 GPU that can play 4K video. The price is slightly higher (around $40 a piece), the touted as “Pi-killer” ODROID-C2 is certainly worth having on your bench. pcDuino3 Series is a number of models of mini PC or single board computer platform that runs Linux ARM OS such as Ubuntu and Android. Released in early 2014, it outputs screen to HDMI. Moreover, it has hardware headers interface compatible with Arduino. pcDuino microcomputer has 4GB Flash, microSD card (TF) slot for up to 32GB, HDMI 1.4 with HDCP support, built-in WiFi, Ethernet 10M/100Mbps, SATA Host socket. The microcomputer can be deployed with an outside temperature range of up to 80 degrees, so it is very suitable both for professional and industrial applications. With the existing LVDS interface, LCD monitors can be operated directly. Furthermore, the pcDuino3 has a CSI port to connect to a CSI camera, as an extra option beside USB cameras. 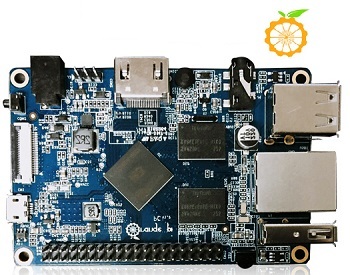 Asus Tinker Board is yet another RPI competitor, this time from a popular brand Asus. As always, competitors try to outdo Raspberry Pi with more attractive characteristics. Unfortunately, this goes rarely with as low price as Rasperry’s $35 (Tinker’s price at the moment is $65). Most importantly, the newcomer has a more productive processor Quad-Core 1,8 Ghz ARM Cortex-A17 (Rockchip RK3288), 1 Gigabit LAN, 2 GB of memory, better audio capabilities, 1 HDMI 2.0 port with possibility to decode 4K resolution. The same as in RPI stay 40 pin headers (including 28 GPIO), Bluetooth 4.0 + EDR, Wi-Fi: 802.11 b/g/n with swappable antenna, 4 USB 2.0 ports. Operating systems are Debian OS / Kodi with more coming soon, as per producer. Nowadays there are 2 most popular SBC: Raspberry Pi 3 (originated from Great Britain) and Odroid C2 (South Korea). “The Korean” has been gaining popularity lately because its characteristics look more appealing. Judge for yourself: 1 Gbit/s network, more powerful processor, and eMMC. Though it’s too early to call it Raspberry’s killer as the latter has a much wider community and support for software. Price is almost equal ($35 for Raspberry and $40 for ODROID) but keep in mind that this is the price for just the board (“barebone” as they call it) and you’ll also have to pay for power supply unit, case, SD card, and spend some time installing a supported Linux distro (however, you can request SD card with a pre-installed Linux straight from the manufacturer). Add shipping cost to this and you will get $80. For this money you can get yourself a ready to work out-of-the-box mini computer Wintel W8 Pro with Windows OS(!) already pre-installed. Imagine that! However, ARM-based devices have a big advantage – a GPIO interface to control external periphery. It is a high-demand feature among enthusiasts of robotics and smart home systems. Sure there are many more and you can easily find them and their comparison in the Internet by doing a simple search for microcomputer or micropc. A micropc can be used for multiple purposes, and depending on the specifications some are better than the others. One of the good uses for such a tiny computer is standalone video surveillance. For example, DVRs with pre-installed CCTV software can be created on base of such hardware units with connected HDDs and cameras – network or USB. Or microcomputer can be used as a complete substitute, and power saving too, for a desktop computer when video surveillance server needs to be running 24/7. It can process a couple of cameras, save records to archive and retrieve them when needed.